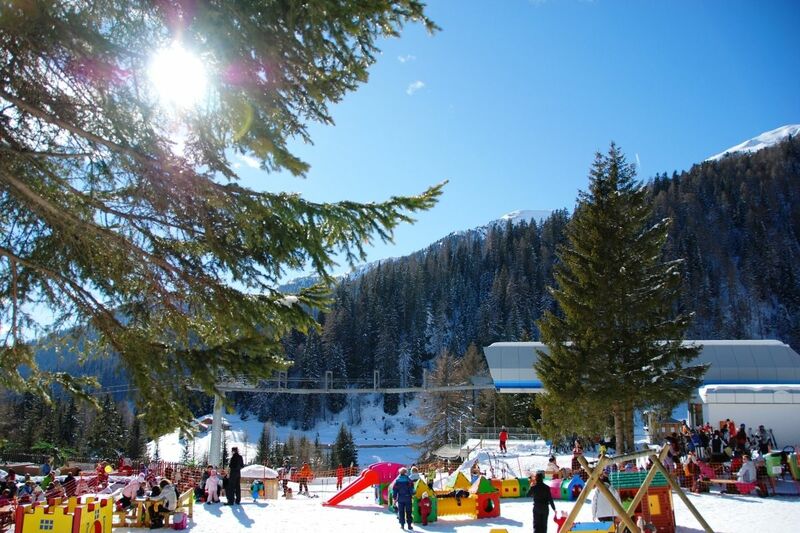 You are at 1650 m of altitude, in the mountains, at Gardonè: 10 minutes from Predazzo, in Val di Fiemme, in the Trentino Dolomites. 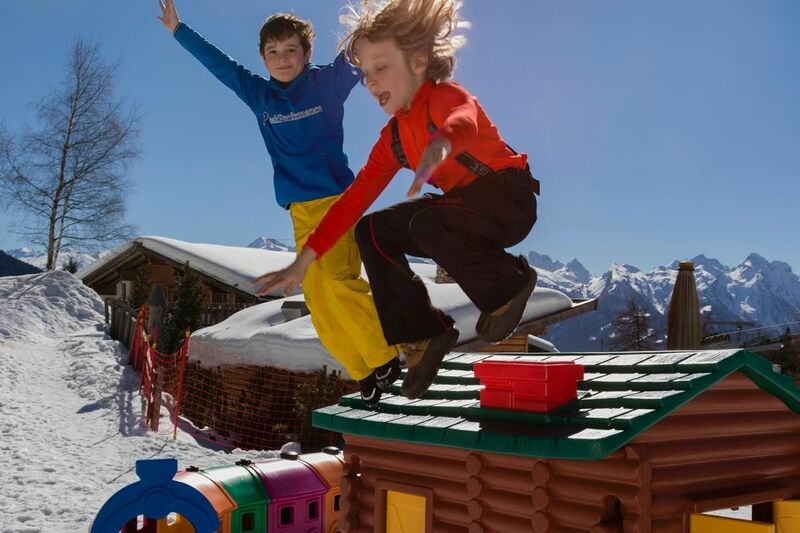 The Kingdom of Dragons is a free playground in the snow with swings, slides and giant cubes. It is wonderful in winter to play with the children in the snow. All you need is a coloured hat, little boots and warm gloves. 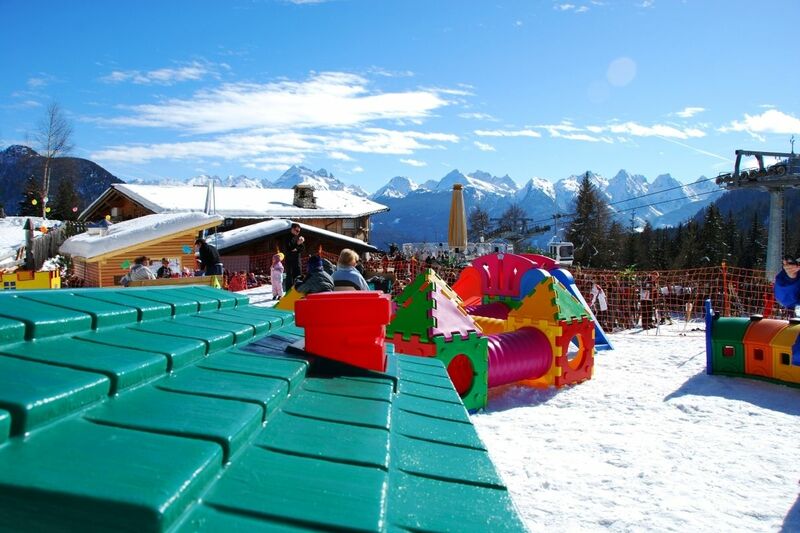 In amongst the giant cubes, a train and a bouncy castle, at Gardonè you will find lots of games to play in the mountains with the children: running, jumping, counting, going up and down, round about and running away. There is also a chalet: a little warm, welcoming refuge where they can draw, colour, read and rest. 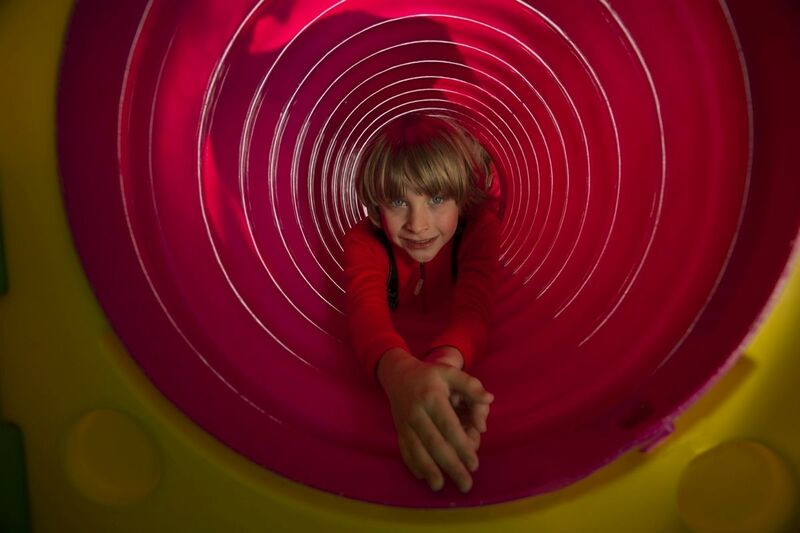 Amongst the tables and chairs, the soft corner, role playing and building, the children can enjoy themselves and make friends. There are drawing of all the characters which live in the AnimatedMountain to be coloured and a collection of books and illustrated albums as well as fantastic stories in English, German and Italian. 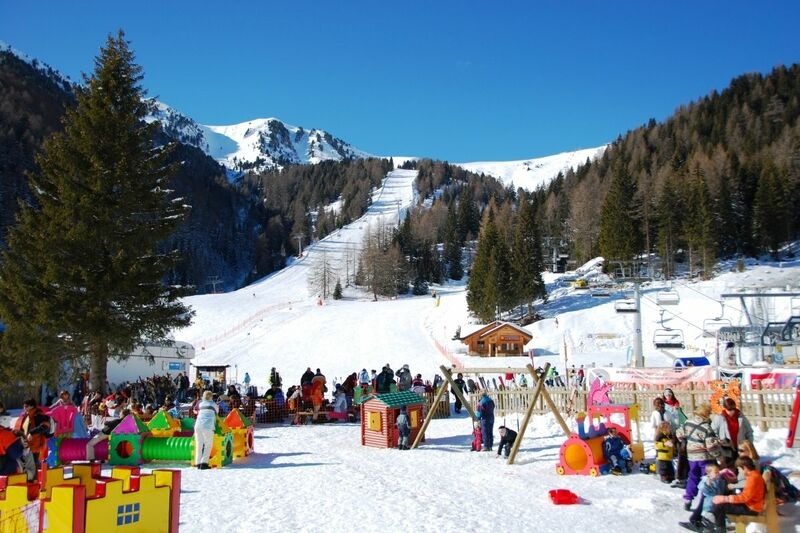 At Gardonè you can also go on easy walks with the children in the Dragon Forest, searching for the footprints of the huge winged creatures and solve the clues of the playbooks, whizz downhill on the Alpine Coaster Gardonè or enjoy the Sledge Run.